We all have old jewelry that we just don’t love, is broken, or maybe was given to you by a family member. Why let it sit around doing nothing when you could use it in a new piece of repurposed custom jewelry? Whether it was a poor gift choice, heirloom jewelry that was inherited, or something that was in style 10 years ago, but now is basically worth the scrap value, we can help. Using custom refining and CAD design, it is now possible to transform those pieces into repurposed custom jewelry that is truly yours again. There are numerous reasons to create repurposed custom jewelry from old jewelry, ranging from a simple style preference to very personal and sentimental feelings. Because repurposed custom jewelry is so versatile in the designs you can create, you shouldn’t have to look hard to find a reason to part with your unused jewelry. Here are a few reasons that have lead our clients to create repurposed custom jewelry from old jewelry. Using old family jewelry is a way to keep your loved ones close to you in spirit, even if they are no longer with you. Remaking jewelry inherited from family members can also be incredibly sentimental and rewarding. The Halo Ring was made from the ring on the left and a center stone the custom had from another ring. When you are gifted jewelry from a family member it is rarely what you want. While easier to let it sit in the bottom of your jewelry box than to admit you hate it, with just a little effort and thought, it could be transformed into your go to piece! With repurposed custom jewelry, you have the ability to actually re-design the piece into exactly what you want. You have complete control and can infuse your own style and personality into the piece. You also have the ability to of combine two or more pieces into one. If you have stones in two different rings that you think would look great together, it is completely possible to combine them into one new repurposed custom jewelry design. Diamonds removed from four old rings turned into Repurposed Custom Jewelry. Mother Earth will love you for repurposing your old jewelry because it is effectively recycling materials. Instead of buying something brand new, conserve our resources by recycling unwanted jewelry into Repurposed Custom Jewelry that you’ll actually wear. Using stones you already have is a practice in sustainability; it means one less stone mined from the earth. When we repurpose your jewelry, we keep sustainability in mind. 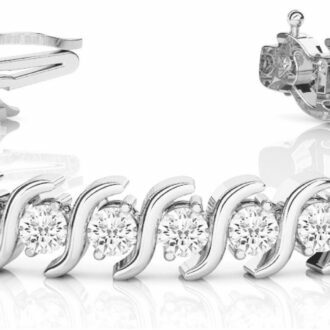 Anything not put into your new jewelry, like your old metal setting for example, we recycle. What do you do when your wedding is called off? What do you do with your engagement and weddings rings after a divorce? After a breakup, you don’t want to wear the jewelry. But if you sell it to a pawn shop, you will get pennies on the dollar for it. The best way to move on is to reinvent your jewelry into something that celebrates your new life and signifies a new beginning. You can get rid of that bad mojo creating repurposed custom jewelry with it. We removed the stones from these rings to repurpose them and the metal. 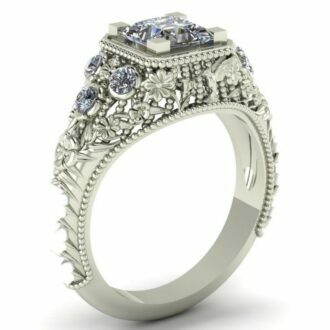 What Types of Jewelry can be used In Repurposed Custom Jewelry Instead Of Buying Something Brand New? Almost all rings, necklaces, and earrings can be repurposed. It’s important to to take note of what type stones are set in the piece that you are thinking of creating repurposed custom jewelry with. This is because stones can wildly vary in hardness and durability. You can find out how hard your stone is by finding it on the Mohs Hardness Scale. It is the scale used to grade the hardness of gemstones. You can see more about the Mohs Scale HERE. Stones like Diamonds, Sapphires, and Rubies are very hard and durable. The jewelry remodeling process will probably not damage stones with their hardness. Softer stones like Turquoise, Opal, or Moonstone may not be the best stones to repurpose. When being transferred between settings, they have a much higher chance of being scratched or cracked. Many people don’t know that it’s possible to create Repurposed Custom Jewelry out of dated styles. 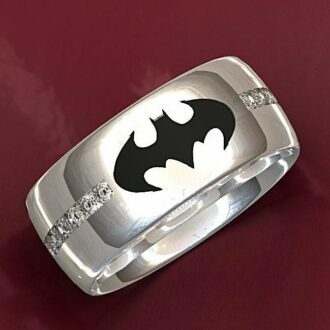 But with our custom jewelry expertise, it is totally possible. Whether you want to carry on the family legacy or simply switch up your style. The process is personal to you and the possibilities are endless. Do you do have jewelry just sitting around the house not being worn? Consider giving it new life. We would love to create the design you are dreaming of! Click HERE to see more about creating Repurposed Custom Jewelry or contact us with your custom engagement or wedding ring, pendant, bracelet, or earrings idea.